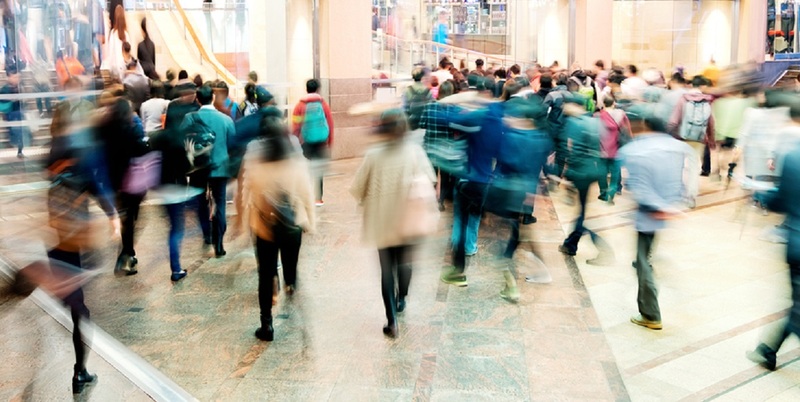 Written in tandem with Rachel Lund, Head of Insight and Analytics, British Retail Consortium to discuss predictive analytics' role in holiday shopping. The Christmas period is the most important time for retailers, as consumers start building up their piles of Christmas gifts for friends and family. Once a period encompassing the present-buying period of December, through to the January sales, the Black Friday shopping weekend bonanza has made its way across the Atlantic and significantly elongated the festive season for British retailers too. Renowned for its heavy discounts, one-time deals and frenzied shoppers, Black Friday kick-starts shopping and the sales period far earlier, so retailers need to be on top of their game for considerably longer. Unsurprisingly, consumers have welcomed this new tradition with open arms as it gives them an opportunity to seize great discounts just when they’re doing their heaviest shopping; before the Christmas period. However, for retailers, it is having a fundamental impact on the traditional retail patterns they’ve come to know well. Before the Black Friday phenomenon, retailers had a steady build up to the spike in demand around Christmas – one they knew was coming and could prepare for, way in advance. This enabled them to ensure enough stock was available and further logistics support was in place. But those patterns are changing as consumers take to the shops far earlier, expecting discounts in the months before Christmas, not just after. It means traditional algorithms of consumer behaviours are outdated, with new timelines leaving retailers unsure of what to expect. Since making its way across the pond, the effects of Black Friday have been up for debate. That said, Black Friday can also be seen to have a negative impact. Stock availability, maintaining excellent service at peak times, a further weakening of low profit margins, and dealing with a high volume of returns after impulse purchases can severely impede a retailer in the crucial build up towards the Christmas period. This can result in a negative perception of the retailer throughout the holiday season. Can your website cope? A good analytics platform will allow you to see the amount of traffic that gets driven to your website during promotion seasons. This will give you a very clear indication of whether your retail site will be able to cope with a higher level of traffic. Track sentiment: Social media has become the new airing ground for disgruntled customers, who love nothing more than to share when a retailer has messed up (rightly or wrongly). Being able to track the social sentiment of your selling process (and your competitors) will mean you have a more accurate view of your customers and how they feel about your brand. How to spread your stock: While a lot of shopping has moved online, there is a growing trend of “click and collect” – creating an additional logistical nightmare for retailers. The worst thing a shop could do would be to accept payment only for there to be no product in their chosen store. By having an accurate overview of what is likely to be spent online, in-store and click and collect will help better plan for where you should assign your stock. Timing is key: Timing is everything when it comes to maximising sales – it is vital to know when most of your customers will be online – and more specifically what they are more likely to buy. This is where your existing data can really help – look into the buying patterns from last year to help you plan which stock to push this year. Plan for refunds: When there’s a sale, a huge spike in refunds and exchanges are sure to follow. This can cost a retailer if they do not factor this into their P&L! Based on your existing sales data, predictive analytics will be able to give retailers a more realistic idea of how much of their sales they are safe to count. Like it or loathe it, Black Friday will be kick-starting the Christmas shopping period from now on, and retailers would be a foolish not to acknowledge its impact on traditional Christmas retail patterns. A retailer’s biggest asset during the festive period is the data it has collected throughout the years. By using this data effectively, retailers will be in a much better place to tackle Christmas.